I had a million different thoughts in my head after I saw Rogue One, but one kept creeping its way back into my head: Rogue One felt like a live-action adaptation of a Dark Horse Star Wars comic, especially with its tone and focus on the ordinary people in these big galactic events. It got me re-reading Star Wars comics—and if you loved Rogue One, you should read some of these too. Rogue One is, as I mentioned before, a movie that’s not about the big heroes, but your average boots-on-the-ground soldiers in the Galactic Civil War. Empire, one of the biggest series Dark Horse did, was pretty much the same. But unlike Rogue One, Empire, as the name might imply, gave equal spotlights to stories of members of the Empire as much as it did tales from the Rebel alliance. From the defection of Biggs Darklighter to attempted Imperial coups against Darth Vader and the Emperor, Empire told short, sharp, and grounded stories from the galaxy far, far away instead of the sweeping sagas we saw in the movies—each of which was basically their own “Star Wars Story,” like Rogue One. For something that has a little bit more of a literal link to Rogue One, you should check out the fifth and sixth issues of the series, collected in Empire’s fourth Volume—a story called “Princess... Warrior.” Set immediately before the events of A New Hope, the story focuses on what was, in the old EU canon, the lead up to the pivotal battle where the Rebellion secured the plans for the Death Star, and how Leia herself evolved from Senator to frontline fighter. And if you like Empire, then you should pick up Rebellion, which is essentially a continuation of the things Empire was doing with Star Wars—although this time a little more leaning into a mix of story arcs that focused on the Rebellion rather than the different facets of the Empire itself. Most notable in the short run is a story arc called “Small Victories,” which sees a team of Rebels (including Leia and Luke) infiltrate a massive Imperial battle station on a suicidal mission. Sound familiar? 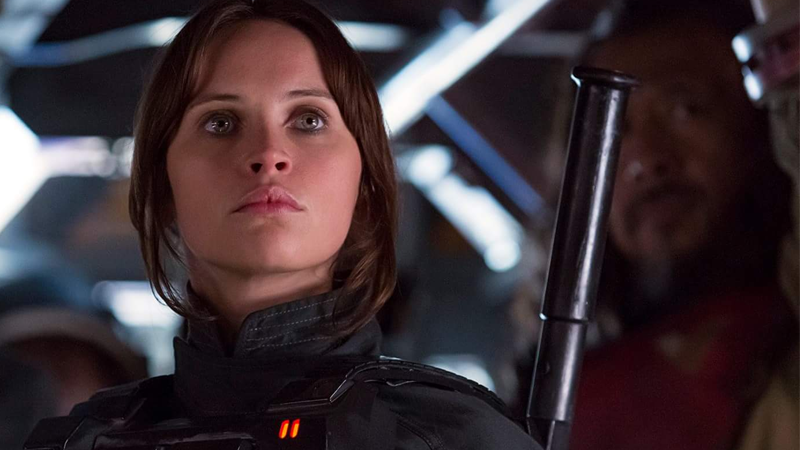 Rogue One’s third act involves one of the best space battles in the entire Star Wars saga—and if you love the derring-do of X-Wing pilots on do-or-die missions out in space, then it was an action sequence that put a great smile on your face. If you want more of that dogfighting goodness, then the Rogue Squadron comics are going to be right up your street. If you prefer a more militaristic take on Star Wars, this series—so overwhelmingly popular it evolved from a three-arc story into a whole 35-issue series of its own—is a must, following the lives, deaths, and missions of the brave men and women that made up the Rebel Alliance’s elite pilot team Rogue Squadron. If you’ve always loved Star Wars for its spaceships rather than the stories of Jedi and Sith, it’s an essential read. Plus, if you loved the comic, the X-Wing novels are pretty great too. Entrenched actually isn’t a series like the previous books I’ve mentioned. It’s a short comic by Alex Jaeger and M. Zachary Sherman from an anthology book called Star Wars: Visionaries, but it completely nails Rogue One’s similar vibe of normal people amidst in the ground-shaking events of the Star Wars galaxy—in this case, a Rebel soldier during the Battle of Hoth. It’s emotional, it’s full of tension, and is about the nature of heroism in the face of overwhelming odds. It’s even got some touching connections to a character that appears in Rogue One too that I won’t spoil here. Okay, so this one isn’t from Dark Horse—it’s the recently completed series from Marvel Comics, and it’s incredible. One thing people can’t stop talking about in Rogue One is Darth Vader, especially one heart-pounding sequence he’s in that has people hailing it as the moment that re-invigorated Darth Vader as a powerful, petrifying villain. Those people are wrong, because Darth Vader already did that. If you want a comic that basically gives you that scene from Rogue One over and over again, wrapped up in an intriguing tale of deception, mystery, and sick burns, then you owe it to yourself to devour every last issue of this book.